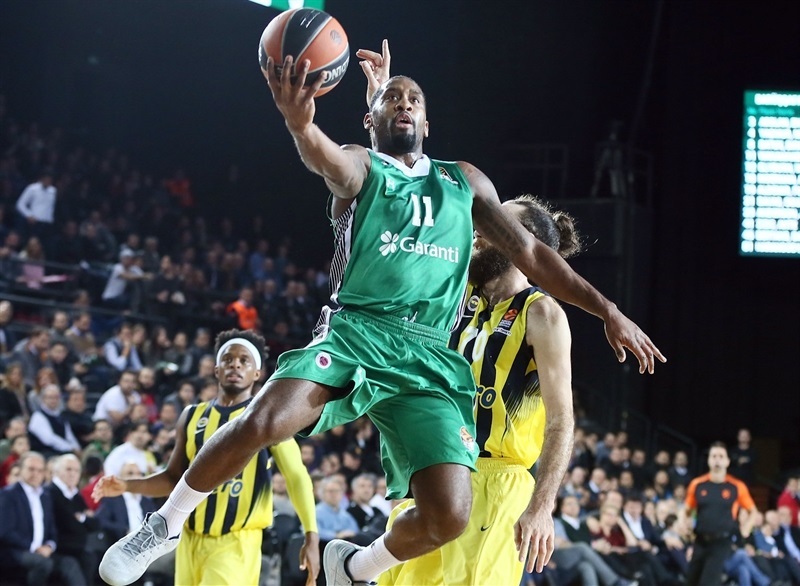 Darussafaka Dogus Istanbul stayed in the thick of the playoff hunt after a 72-65 victory over Turkish Airlines EuroLeague runner-up Fenerbahce in the latest Istanbul derby at Volkswagen Arena. 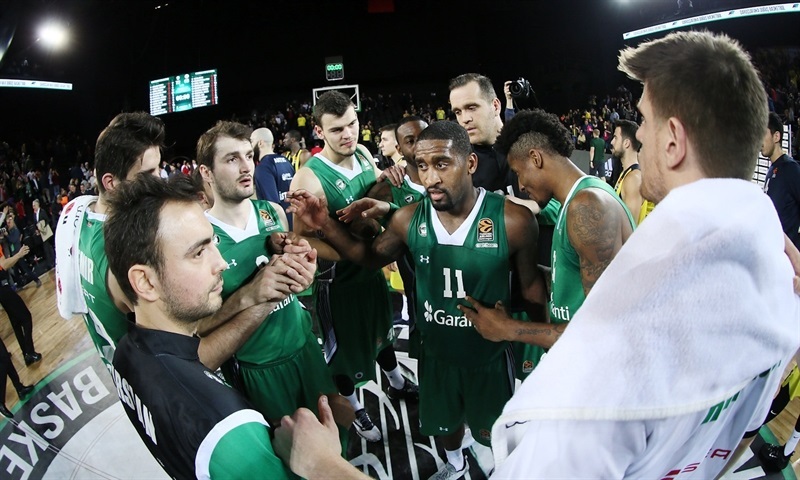 Ante Zizic and Brad Wanamaker each posted double-doubles as Darussafaka improved to 11-11 and is one of four teams within one win of each other between sixth and ninth place. 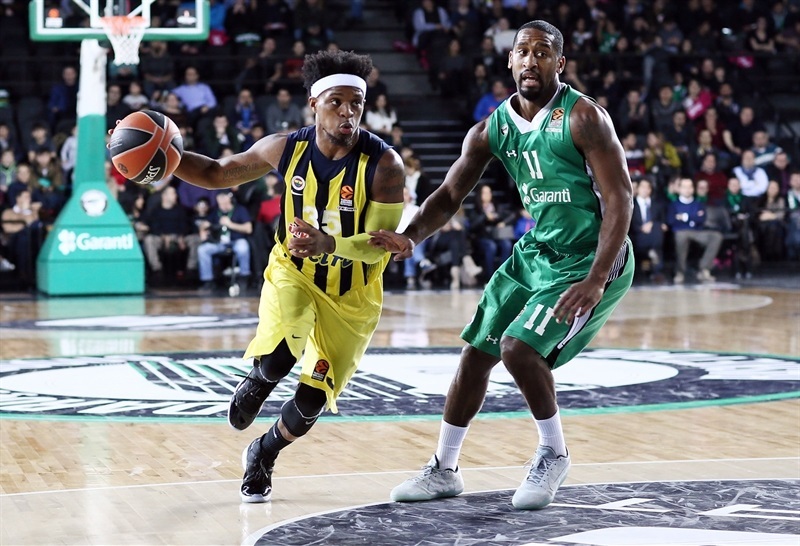 The loss dropped fourth place Fenerbahce to 14-8. 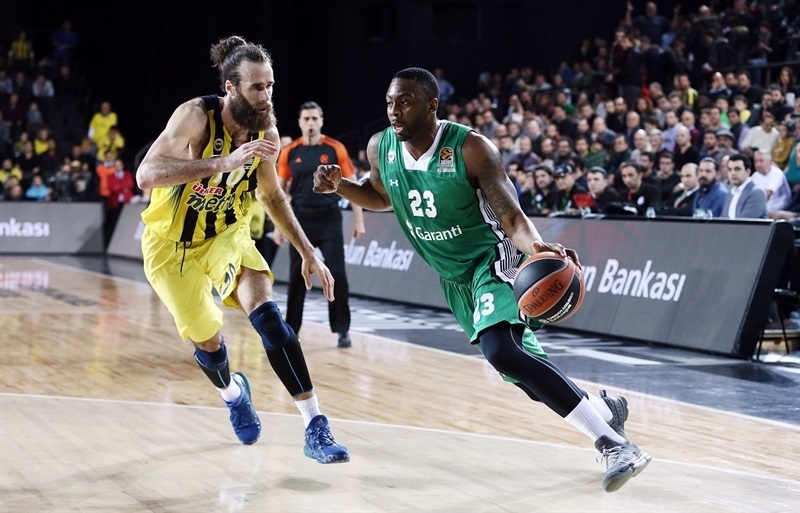 Will Clyburn scored 20 points, Zizic posted 14 points and 10 rebounds and Brad Wanamaker tallied 12 points, 3 steals and set a career-high and club record with 11 assists to pace the winners, who trailed by 10 in the first quarter before rallying to lead by 3 at halftime. 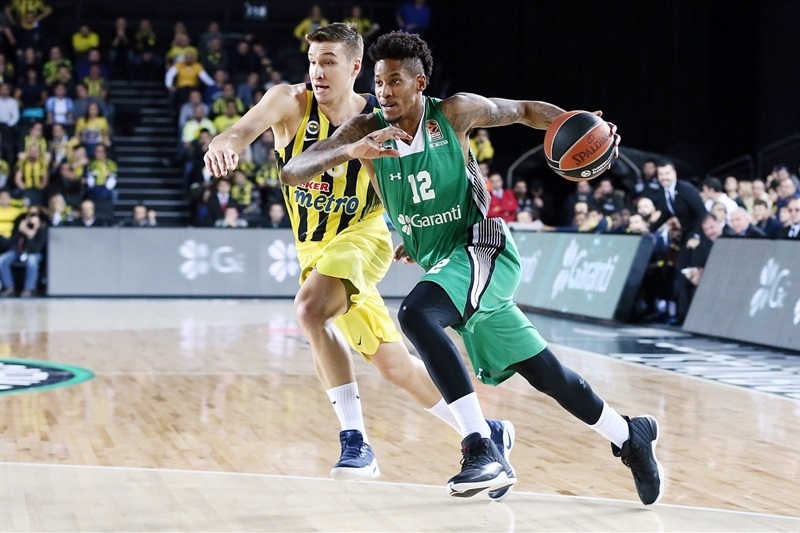 The game was tied entering the fourth quarter; Clyburn scored 9 points in the final 10 minutes to help Darussafaka race to victory. 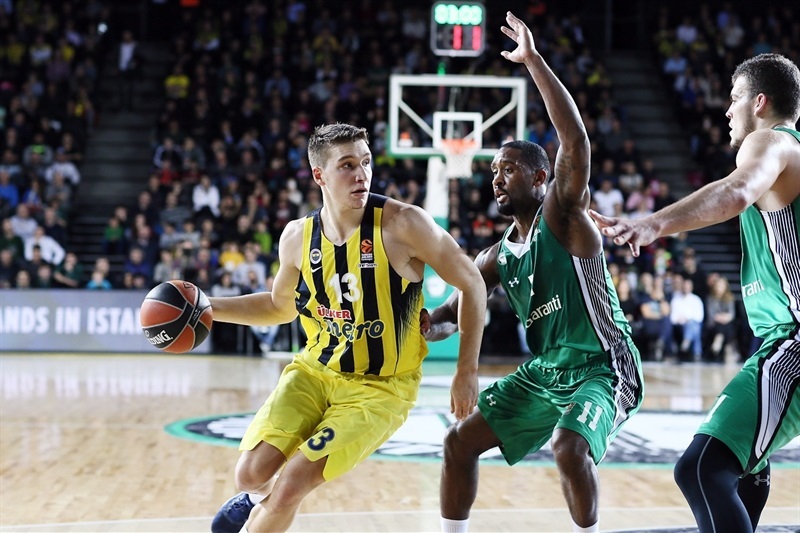 Bogdan Bogdanovic scored 18 points for Fenerbahce and Ekpe Udoh and Bobby Dixon added 14 each. 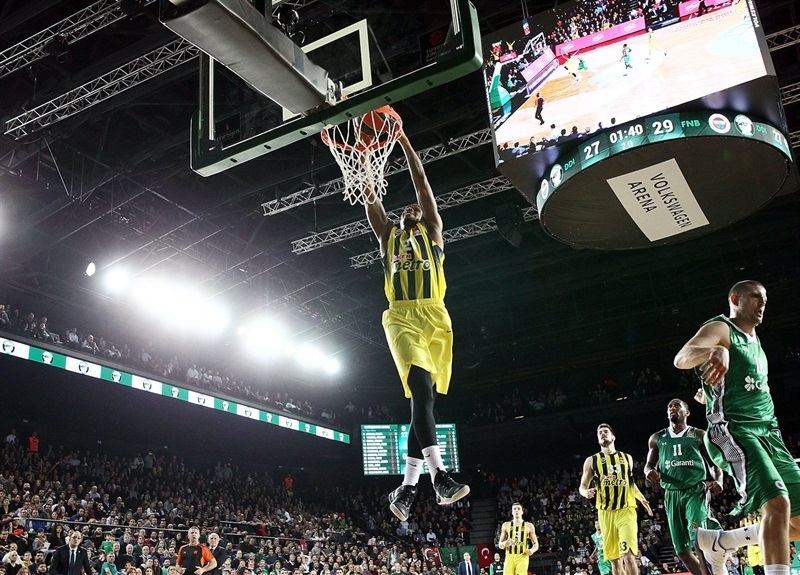 Udoh also collected the 100th blocked shot of his EuroLeague career. Tough defense told the story of the opening minutes. 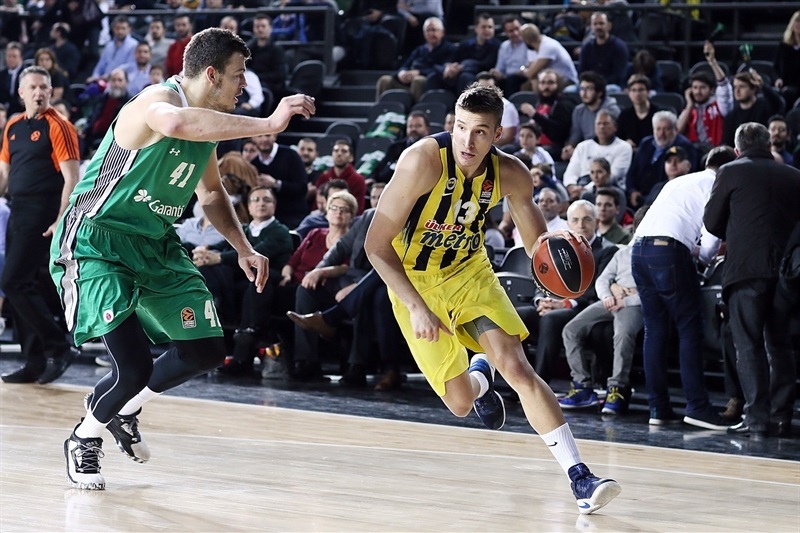 A pair of baskets by Bogdanovic sparked a 0-12 Fenerbahce run, during which the hosts twice committed offensive fouls, to surge ahead 5-15. James Anderson ended the Darussafaka drought with 5 quick points. Udoh’s hook shot gave the visitors a 10-20 lead after 10 minutes. 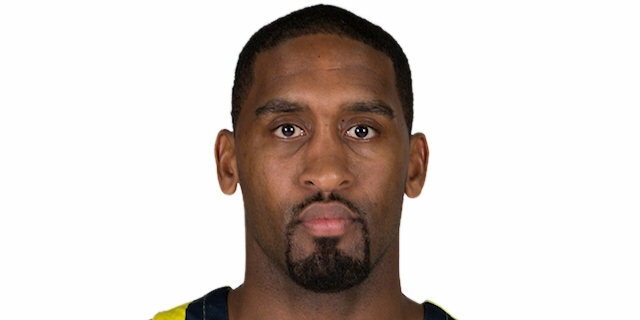 Wanamaker scored on a pair of drives to start the second quarter, after which Fenerbahce took a timeout. 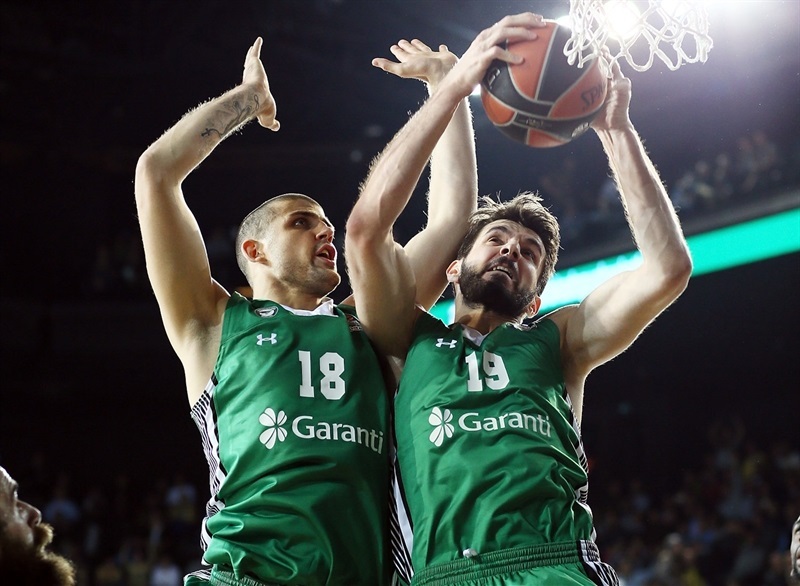 After Zizic’s put-back and foul drew the hosts within 4, a Pero Antic triple made it 18-25. However Wanamker set up Zizic for a layup through a pick-and-roll and Adrien Moerman nailed a three to make it a 2-point game. 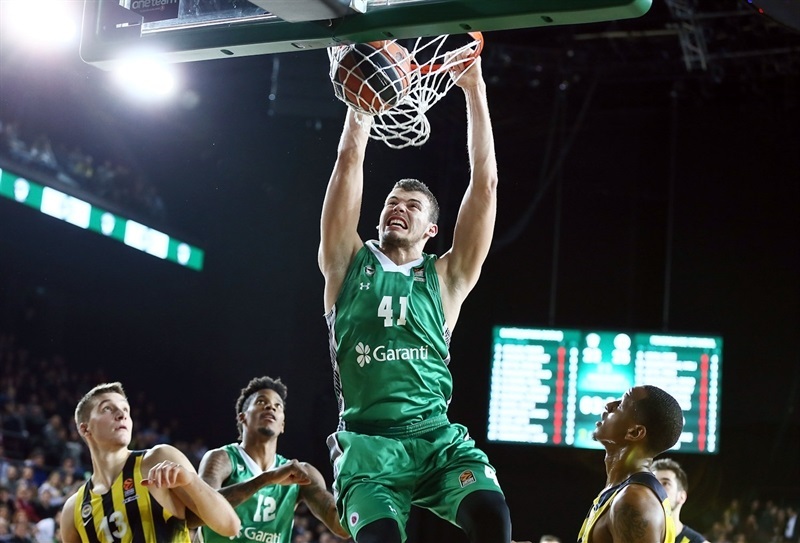 Zizic’s offensive rebound and slam tied it, but Bogdanovic twice put the visitors back in front. But the hosts answered and Wanamaker beat the halftime buzzer with a three-pointer to make it 34-31 at the break. 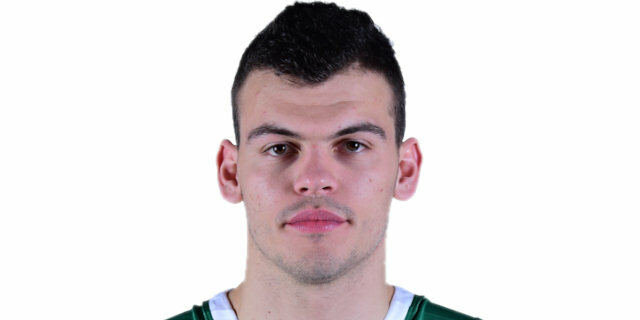 Zizic remained hot in the third quarter with a block, put-back slam and hook shot all within one minute. Wanamaker free throws boosted the difference to 40-33. The game got a bit more physical with Clyburn stopping Luigi Datome with a fantastic fast break layup before Bogdanovic tied it at 42-42. Clyburn nailed a go-ahead three from the corner, but Bogdanovic’s three-point play ended the third quarter at 47-47. Clyburn connected on a pair of threes that gave the home team a 58-53 advantage with six minutes remaining. Moerman’s second three extended the margin to 7 with three minutes to go. Jan Vesely fouled out with 1:11 when he fouled Wanamaker shooting a three-pointer. 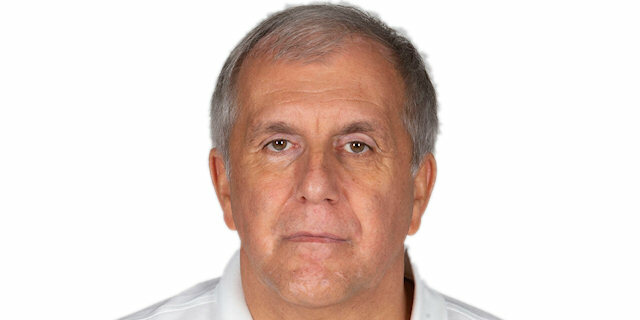 He made 2 of the resulting free throws for a 66-59 cushion and Fenerbahce never got closer than 5 the rest of the way. 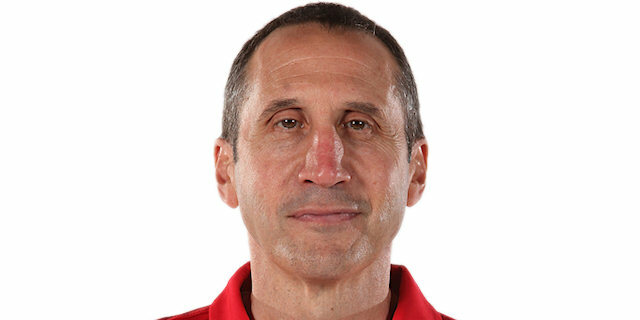 "We beat tonight a high-level team in a very important game and a lot of credit to our players for the effort that they made and the basketball that they played. Particularly, I want to say a good word for my staff, my assistant, who did such a great job preparing this game. We had time this week because of the Friday game and our last game being some days ago, we had three full practice days which is rare in this year’s Euroleague and Turkish League season. And my assistants did just a tremendous job preparing us for the many different things you see in the game against Fenerbahce. We’ve obviously had a tough stretch of it recently trying to adjust to playing without Scottie Wilbekin, who is such a big part of our team. And that happens too in a season when you lose a main player it takes time to adjust to that and figure out a way to win high-level games, tonight we figured it out. I would also like to mention that Will Clyburn for the past month has been playing with a hand injury. Most players would sit down and not play. He has continued to make the effort and try to help us in a time when we are already missing Marcus Slaughter, Semih Erden, Scottie Wilbekin. He knew we were in trouble injury-wise and he played hurt and it affected his play. Tonight he came out and was the same Will Clyburn he was before the injury." 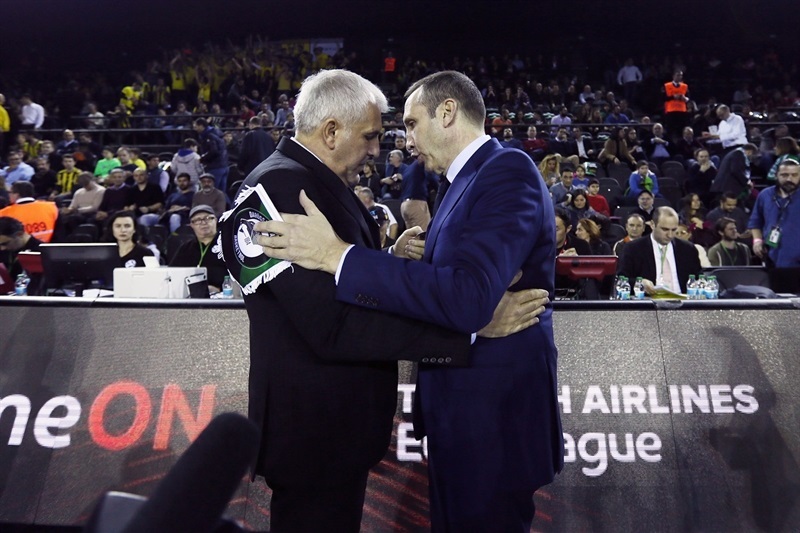 "I want to congratulate Darussafaka on the victory. They deserved it because they played better. It was one more game where they played very hard and very tough defense against us. We tried to prepare ourselves for this kind of game, a lot of one-on-one situations, but expect for the first quarter when we played very good, everything else was very bad for our side. The thing is they play very aggressive and very tough defense. If you want to beat them, you have to play like a team. I must say really that the way we prepared and the way we played the game is very different. That is something that we must discuss with our team. " "We have to feel good after this win. Fenerbahçe is potentially a Final Four team. But we should bring every game the approach we had against Fenerbahçe tonight. We played tough and we played together. We can beat a team like Fenerbahce playing this way and we can beat any other team as well. Hopefully we will get the same results. We did a great job in defense. I got 11 assists thanks to our guys making the shots. We are very confident in our chance of making the playoffs. We lost some games, which we should have won. But we have eight more games. We got a great chance of making the playoffs." "I want to congratulate all my teammates and the coaching staff for this big win for us. This win means a lot. We showed our character. We are back on track and I hope we are going to make the playoffs. I am really happy about [my double-double]. Maybe it’s my eighth game with the team, but I feel like I have played 88 games for this team. "